For their first time the Big Leaguers, touring in Europe yearly since 2010, arrived in Paris. 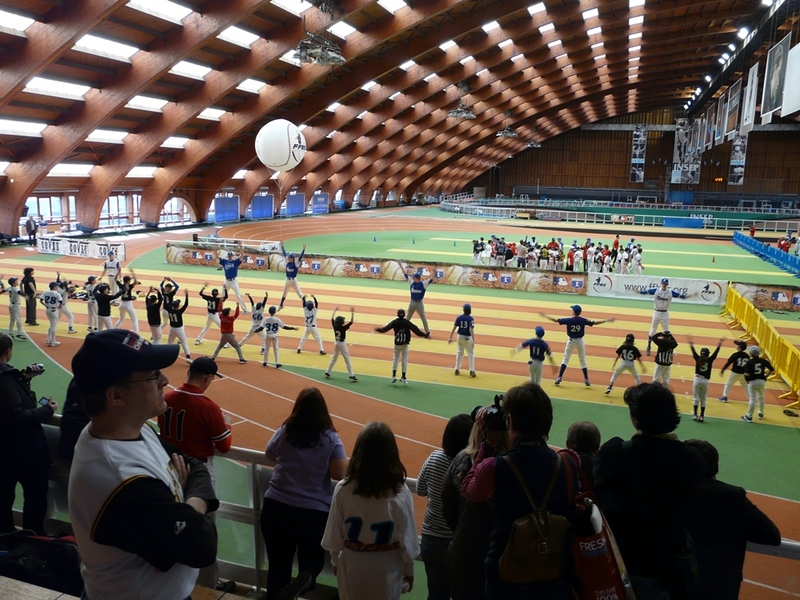 After Eindhoven, Haarlem and Antwerp in 2010, Utrecht, Amsterdam, Prague and Parma 2011, London 2012 and after the third time in Rotterdam (2010-2012-2013), European Big Leaguers Tour headed to France’s classy capital for a champagne reception on last Friday and two clinics on Saturday. 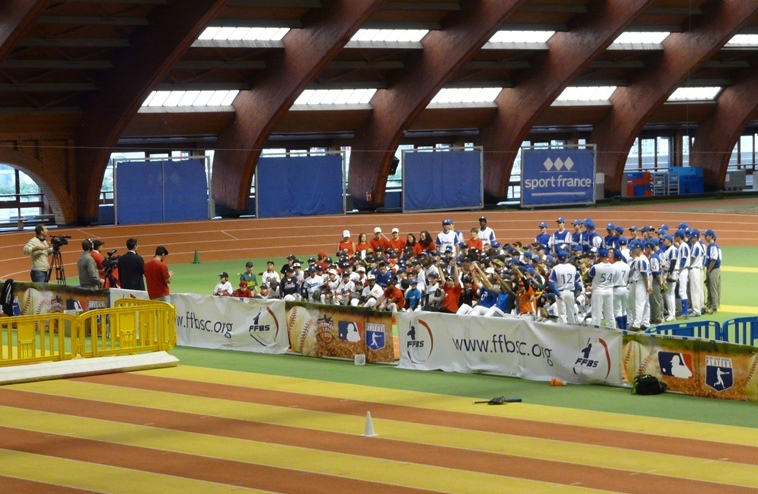 Four hundred kids, mainly from across the country but also from England and Belgium, joined the indoor baseball event at INSEP, the national institute for sports, experience and performance, located in the Bois de Vincennes. French federation president Didier Seminet, asked by Mister-Baseball.com, concluded that he wishes them to come back the next three years, too. 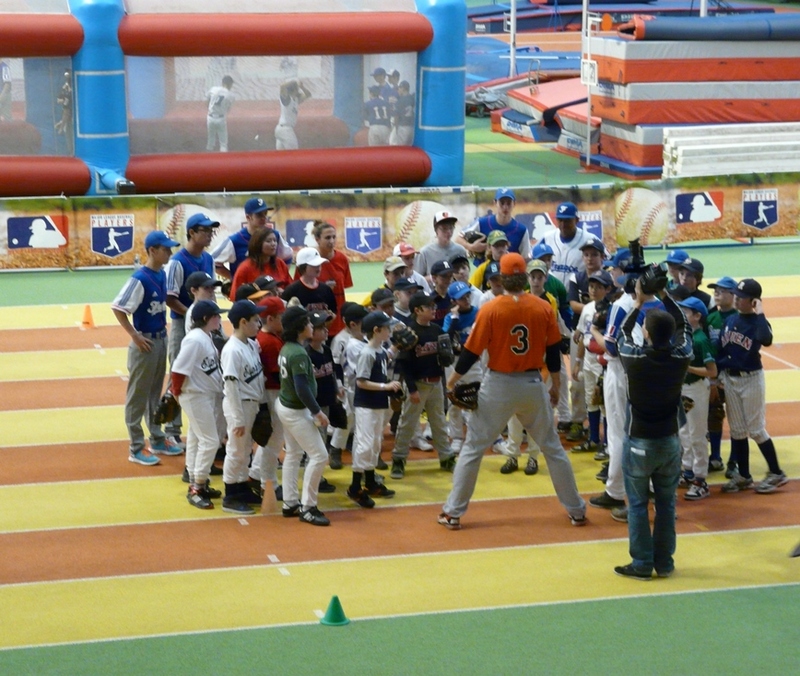 Wim van den Hurk, president of the yearly Tour in Europe, directed his “free agent” Big Leaguers Chris Dickerson, Curtis Granderson, Korean champion Rick van den Hurk (Samsung Lions) and World Baseball Classic star Kalian Sams, from Rotterdam to Paris. Some of them enjoyed an intermediate city trip to German capital Berlin and Netherlands national team pitcher Berry van Driel completed the clinic crew arriving during the reception in the 5 stars Hyatt Madeleine hotel in Paris. Two French newspapers covered the events, i.e. specialised sports daily L’Equipe and general news daily Le Parisien. During the champagne party, speeches were delivered by hosting FFBS president Didier Seminet, Paris municipality representative Karim Herida and US Embassy official Ryan Jones. 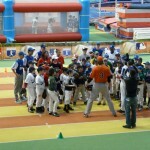 EBLT spiritual father Rick van den Hurk underligned once again the importance of his face to face clinics between bigs and kids, thanked the French organization for all preparations and expressed his sadness about the passing away of MLBPA executive director Michael Weiner, who was a strong supporter of Van den Hurk’s idea to bring Big Leaguers to the kids in Europe. 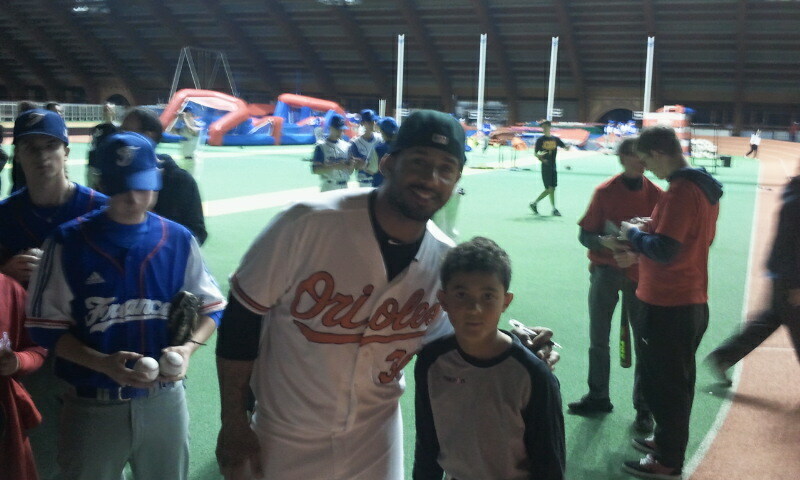 Also attending this reception was Dan Bonanno on behalf of MLB. 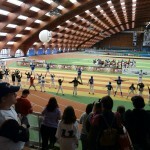 Baseball is going global, also in Paris. 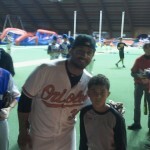 Big city meets Big Leaguers, who spoke and played with 400 kids living in three countries: France, England and Belgium. Three from Italy had registered, but had to cancel their flight at last minute. 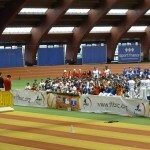 At noon precisely the announcer in the Bois de Vincennes dome presented a selection of French Academy players and national Under 18 and Under 21 team players, who helped the kids communicating with the four Big Leaguers and the two World Baseball Classic players from The Hague (Sams and Van Driel). Global is also the population of France and its capital Paris. 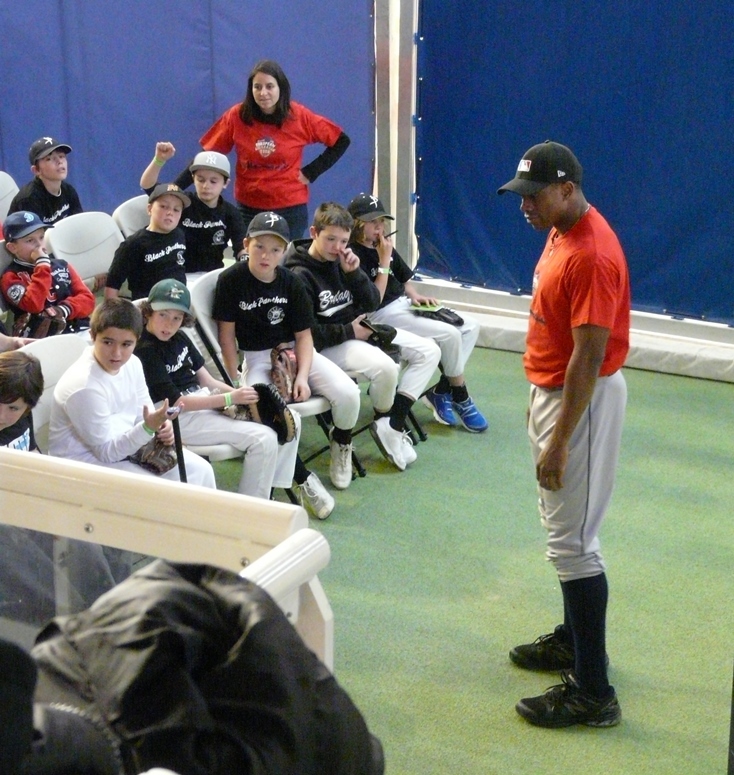 Mister-Baseball.com in the INSEP dome sat down with two people from Parisian outskirt city Clamart, who accompanied young players of their club Dominicana Baseball Softball Clamart. The club’s vice president Francois Gadre, dressed in San Francisco Giants outfit, has a nephew in the Clamart delegation named Kevin Ngatchini, an 8 years old shortstop originating from Cameroun in Sub Sahara Africa. Mr Gadre, who explained his Giants outfit with his two years living and working experience in San Francisco, is in charge with the greater part of the club’s population: immigrants from Dominican Republic.